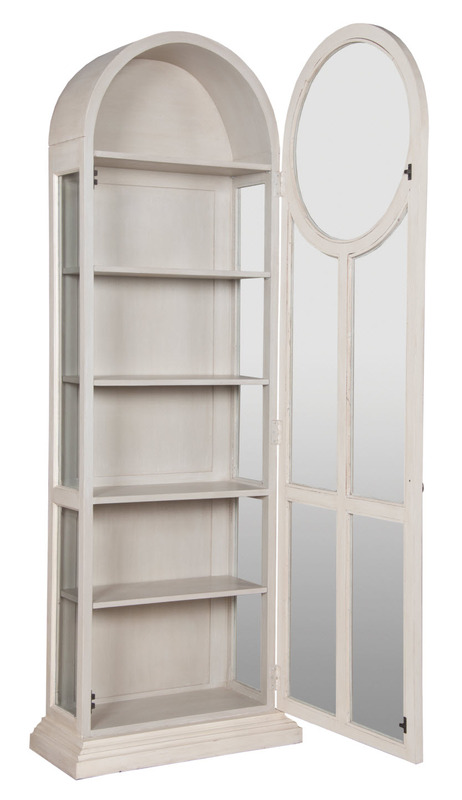 ROUND TOP DISPLAY CABINET - This Round Top Display Cabinet will be the centerpiece of any room. Finished exterior with a Manor Whitewash and interior of Manor Porch Rail finish. H 85.5 x W 30" x Depth 14"